IRVINE – Celebrate New Year’s Eve with exciting entertainment performed by local musicians, dancers, aerial artists and magicians at the Great Park’s inaugural Great Night! Family New Year’s Eve on Saturday, December 31 from 5:00 p.m. to 9:30 p.m. The evening will feature something for everyone with a variety of performances on the main stage and throughout the Park. Southland Mega Groove, a five-piece ensemble that has performed at Disneyland, will play hits from throughout the decades right up until revelers ring in the New Year with a pop of streamers, party hats and noise makers. The Park’s countdown to the New Year will be on East Coast time, culminating at 9:00 p.m. with the Great Park Balloon descending in time with the ball in Times Square. The event will also include rides on the Great Park Carousel, kids’ crafts and activities, a disco lounge in Hangar 244 with a live DJ, vintage cars and military vehicles, a scavenger hunt and photo booths. Admission and activities are free, and parking is $10. Visitors will be treated to dramatic acrobatics by Orange County Aerial Arts, a local performance group that will perform in the Palm Court and on the main stage. Young magicians ages 8 to 17 from the International Brotherhood of Magicians Juniors of Ring 313 will roam the Park performing magic tricks, and visitors can learn a few tricks of their own at the Brotherhood’s booth in front of the Hangar 244 Disco Lounge. The evening will begin with community performers on the main stage. The Irvine Filipino-American Community will perform dances inspired by Filipino culture, while the Orange County Song and Dance Company will perform a rock and roll review with youngsters who are training to become professional singers, dancers and actors. Great Night! A Great Park Family New Year’s Eve will count down to 2012 on East Coast time, culminating at 9:00 p.m. with the Great Park Balloon descending simultaneously with the ball drop in Times Square. The Orange County Great Park is located at Sand Canyon and Marine Way, and can easily be reached by the 5 or 405 freeways. For this event, a special entrance to the Park will be on Trabuco Road. Take the Jeffrey Road exit from the 5 or 405 and turn right on Trabuco. For more information, please visit www.ocgp.org or call 866-829-3829. 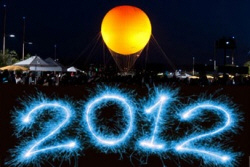 « Poll closes tonight: Who will be Santa Ana’s Woman of the Year in 2011?